OWER Max - electrical stun gun 500,000 V is intended for professional use for security companies, for the police, but also for anyone who wants to effectively defend himself. 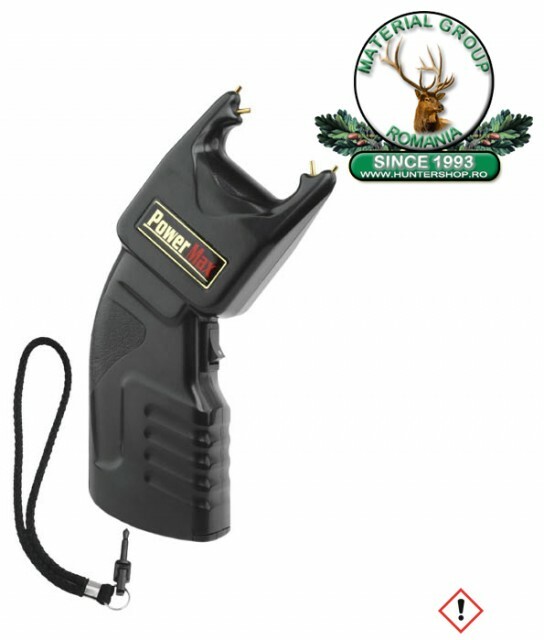 Unlike the stun gun POWER 200, which is powered by only one 9V alkaline battery, the power supply for model POWER Max is made up of two batteries and therefore has a high power output. One of the most important advantages of the stun gun POWER Max is a hand strap with safety plug. This hand strap hangs off the wrist and makes the stun gun out inoperative the moment the device is violently pulled out of hand. You are defended by a safety fuse against unintentional discharge.